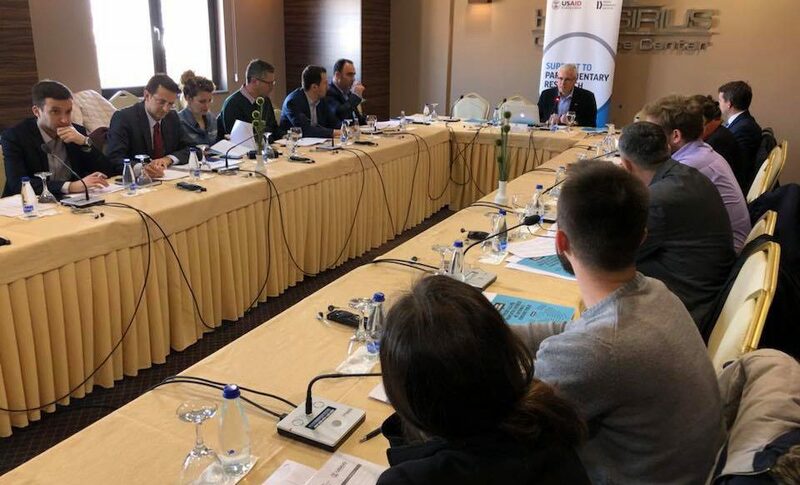 Kosovo Democratic Institute (KDI) and the Parliamentary Committee on Legislation, Mandates, Immunities, the Rules of Procedure of the Assembly and Oversight of the Anti-Corruption Agency, held today a public hearing to review the Draft Law on Prevention of Conflict of Interest in Activities of Public Officials. In this public hearing was presented the parliamentary research conducted by KDI, where were compared the practices of the countries of the region and the EU related to the law on prevention of the conflict of interest. This activity is organized the project “Support to Parliamentary Research in Kosovo”, supported by USAID.